The right to a trial by a jury of one’s peers has become a cornerstone of the individual freedoms guaranteed by the United States Constitution’s Bill of Rights. The Missouri State Constitution also guarantees the right to trial by jury. On behalf of the 16th Circuit Court of Jackson County, Missouri and our State’s citizens, thank you for responding to the call to jury service. Each year approximately 20,000 prospective jurors, selected at random from throughout Jackson County, report for jury service at either the Court’s Kansas City or Independence courthouse locations. As citizens, we all enjoy the rights of due process and the right to a trial before a jury of our peers. Your service as one of the Court’s jurors makes this possible. 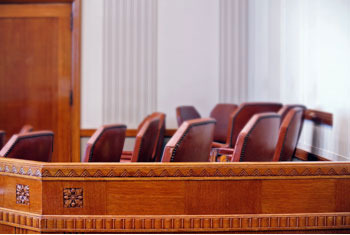 If selected as a juror for a particular case, your role will be to decide the facts of the case, along with the other jurors serving on that case. Trial by jury represents the very essence of freedom under our system of government. By your participation, you will help preserve and perpetuate our fundamental freedoms. We hope you will find the experience interesting and educational. Thank you for your service.